 It's the month of everybody's second or third favorite holiday, Halloween! But this year, you'll do more than just hand out candy. Enjoy fun all through October with About Faces! Hide a caricature artist in the back of that hay carriage, or bring a face painter along to the fall festivities! About Faces is the perfect thing to liven up October. Or the dead. can be traced from ancient Greek and Roman theater through court jesters, all the way to the modern day entertainer, but the creep factor is not so easy to pinpoint. Many ideas come back to the almost-human-like face of the clown. For example, Professor Masahiro Mori's uncanny valley theory proposes that things that look very much, but not precisely, like humans invoke empathy and revulsion in real humans, which is why some people find them so scary. Others believe that the fear started with the court jester, who had the unusual and uncomfortable privilege of being allowed to insult the king. There are even reports of "bad clowns" in history, such as a jester in the 14th century who tried to kill the king, according to Jack Morgan of the University of Missouri. But, really, clowns were never intended to be scary. Most clowns are really just nice people who want to make you smile. So, don't hesitate next time you want to book a clown- unless you're scared of juggling and balloon sculpting! 1. Describe the type of entertainment you provide. I'm a facepainter! I work in the Maryland/DC/Northern Virgina area. 2. When and how did you get into this business? 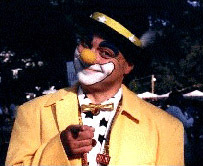 Believe it or not, my uncle was a trained clown for Ringling Bros! When I was about 13, he noticed that I was artistic, and suggested that I give facepainting a try. I was skeptical at first, but after I got started, I just couldn't stop!I practiced at my sister's swim meets, where I would paint "Eat My Bubbles" on competitor's backs, or give them intimidating faces to boost morale. The best part is that it would wash off while they competed, so I would be able to practice all day long! Now, 11 years later, I'm still facepainting, and still loving it. 3. What is the most memorable event you have ever worked at? My absolute favorite event was for a lovely lady's 90th birthday party. There were four generations of the family there, and I was able to paint the matron of the family while she held her great grandchild on her lap. It was such a touching event, and proves that you're never too old to have your face painted! 4. What is one thing you'd like everyone to know about you? When I'm not facepainting, I work full-time as a freelance illustrator. As such, I pride myself on my ability to paint anything requested. Some of my stranger and funnier faces have been a pelican, a guinea pig, a portrait of George Washington, a $20 bill, and a Pepsi can!! 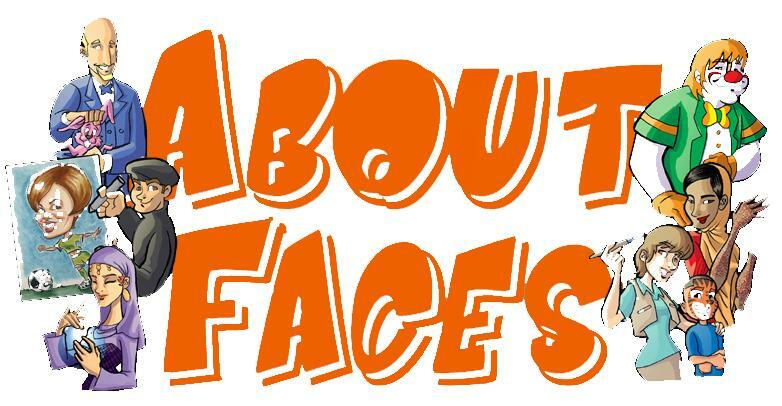 Book your event with About Faces right now! Call 1 800 92 FUNNY or reply to this email to start the process immediately. Thanks for reading!